One year ago I arrived at the Pepsi Center in Denver, Colorado, at p.m. for a another day of watching America begin the process of selecting Barack Obama the Democratic nominee for president of the United States. It was on that day I saw the synergy of the past and the future merge in an address by Massachusetts Senator Edward Kennedy. The irony is one year later August 26, 2009, the “lion of the senate” has passed following his battle with brain cancer. While in Denver I traveled to the hotel where the Maryland delegation was staying trying to catch up on the comings and goings of Maryland political officials. While sitting in the lobby, I saw Massachusetts Governor Deval Patrick. I quickly realized the hotel was also ground zero for the Massachusetts delegation. “Is it who?” I questioned. Instinctively I knew they were talking about Senator Ted Kennedy, Massachusetts’ favorite son. The senator had not been seen since telling the world he had brain cancer. Would he make an appearance at this convention? I would get my answer that evening. I’ve met Sen. Kennedy on several occasions. One of the more interesting encounters was when I was working in West Palm Beach, Florida. In 1981, Kennedy’s mother, Rose Kennedy, had fallen at her home in Palm Beach. She had been taken to a hospital and the legislator left the senate to see his mother. We were waiting for him at the Palm Beach Airport. Most television crews were looking for flights from Boston. My assignment desk told me he was coming from Washington. As I scanned the boards there was only one flight coming from Washington. It happened to be on a newly started airline called People’s Express. When the plane landed I got to ask him questions before other crews arrived. As he was leaving an elderly woman stopped me, “Who was that?” she asked. 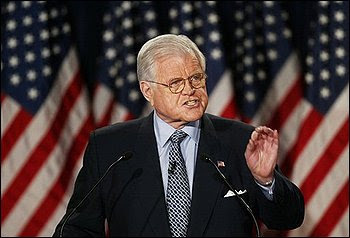 “That was Ted Kennedy,” I said. My other encounter with Kennedy swirled around the effort to create a national monument to Dr. Martin Luther King, Jr. He was one of the earliest politicians to sign on to the legislation to create the monument. The DNC had varied themes for each day. This was all about connecting the past to the future. The convention planners were going to milk this for all its worth. I’ve attached the video shown to convention that chronicled his life. The Kennedy legacy in the United States Senate is unparalleled. Name any piece of legislation affecting changes in society and it has his name on it, from civil rights, Title 9 legislation and his enduring desire for universal health care. You will hear tributes and the personal tales of how he had friends in both parties. He came of age when politics was the not the “blood sport” it is now. He was human and that was clear. The 1969 Chappaquiddick incident, where a female staffer was drowned in a car he was driving after it flipped over in a marsh proved he wasn’t as pristine as reports made him. This incident, I believed, doomed any chance at being president. But despite this he persevered on. He would never receive the type of adulation and reverence of his brothers. (There were some African-American homes that had a picture of Jesus Christ, President John F. Kennedy, Dr. Martin Luther King, Jr. and Bobby Kennedy). There will be long lines at the Kennedy memorial with people telling tales. This is just mine. As an intern on the development side of things here, I didn’t deliver the message. Nonetheless, that encounter is pretty indicative of the general attitude toward pledge drive time. I remember watching the Simon and Garfunkle concert in Central Park with my family, and the annoyance that came every time it was interrupted with a request for money. Now, though, I have the view from the other side of pledge. Last month I attended intern night for the pledge drive, and a group of interns staffed the phones for the evening. To be honest, it was a little surreal. You get so used to seeing that wall of phones, and it never occurred to me that I would be the one answering. It turned out to be really fun. I got to talk to some really sweet people who were pledging, and I got a chance to get chat with interns from other departments. I think that’s the best part about MPT pledge: it’s an opportunity to bring people together. I recently had the chance to sit down with Joe Krushinsky, the Vice President of Institutional Advancement here at MPT, to ask him about his thoughts on pledge. 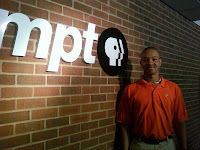 Pledge provides a way for those who work at MPT, like Joe, to speak directly to viewers and get immediate feedback. 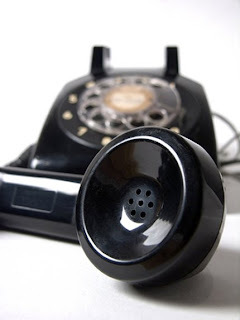 If a show is popular or appreciated, there will be more calls during its run. It’s also an opportunity for the organizations staffing the phones to get invaluable face time with public television viewers. Joe talked to me about how state and corporate funding has been drying up, and MPT has been increasingly forced to rely on public support. 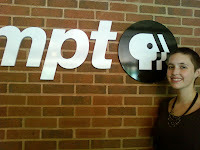 Public television was initially funded with a grant from the Ford Foundation, which was based on the premise that the projects it funded, if successful, would eventually find ways to fund themselves. For public television, the answer was pledge. 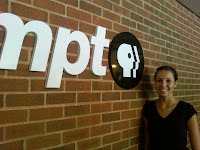 Pledge reaches exactly those who rely on and enjoy MPT, and acts as a link between the station and the viewer. Now I’m thinking pledge is actually a pretty cool thing. It works, and because it works, it demonstrates that people want the kind of programming and public outreach MPT provides. However, I also think it’s important to remember that not everyone can contribute, and that’s fine. If your family can afford it, wonderful. But anyone who is struggling financially should remember that MPT still values them as viewers, even when contributing isn’t an option. So what do you think? When you get past the annoyance of interrupting your favorite programs, is pledge a necessary evil, a valuable opportunity, or something else entirely? 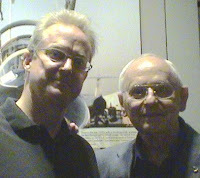 Twenty five years ago when I was reporting for a Baltimore radio station, I had the distinct pleasure of interviewing one of the 12 men who walked on the moon: Apollo astronaut Alan Bean. It was one of the best and most memorable interviews of my career. What made that interview in 1984 so special was that not only was he able to speak eloquently and evocatively about the impact his lunar stroll and flight to the moon had on his life, but that he actually started a new career as an artist! This hot shot rocket ace and moonwalker turned in his resignation at NASA in 1981—while training to fly the Space Shuttle—to pursue his passion as a painter. Colleagues thought he was having a mid-life crisis. 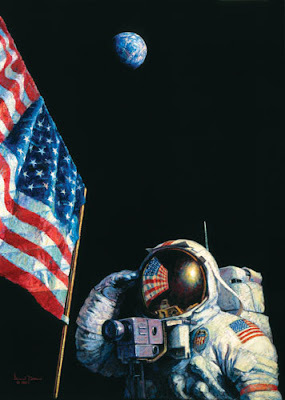 But his unique perspective and experience allows him to paint what only a select few have ever experienced: flights to the moon. His impressionistic moonscapes capture some of the untold stories of man’s first exploration of the moon along with some that are pure fantasy. It was my pleasure again this week to meet Alan Bean at the opening of a new exhibit at the National Air and Space Museum, entitled “Alan Bean: Painting Apollo, First Artist on Another World.” I tagged along with our State Circle crew as Alan provided a guided a tour of the exhibit for reporter Cilinda Pena. What you’ll see when the program airs tonight at 7:30 p.m. is a charming man and a very talented artist who makes his incredible journey accessible to all of us. The exhibit will be open to the public until January 2010. Why didn't they teach economics like this when I was a kid? I remember taking economics as a high schooler, and honestly, it was just boring. We learned how to balance a check book. We read out of a text book about bear markets and bull markets. We learned about a lot that just seemed like it didn’t apply to any of us. After all, most of the students in the class didn’t come from families that invested money, so why should we care about that stuff? The part I remember most was this horrible video about an island and the people who lived there, which was meant to teach us about how market economies evolved and function. I’m really glad someone has finally moved past this model. One of my favorite episodes of BizKid$ highlights the story of a group of high schoolers who set up their own recording label. Another features a boy who raised money to buy rocking chairs for his local hospital. BizKid$ somehow manages to teach economic concepts without alienating kids and teens, its target audience. It also emphasizes financial literacy in terms of the larger community, rather than just the individual. There are resources available for download for classroom activities, and suggestions on how to best use the show in a classroom setting. So, teachers, take a look! My record for the lemonade stand game was $352. Give it a try and tell us your high score! One and done...but at what price? The rule states that men’s college basketball players may attend college and play basketball for one full year and then declare themselves eligible for the NBA. As long as they don’t sign with an agent, these players are given the option to return to college if they are not satisfied with their draft status, or even if they have doubts of getting drafted at all. Now don’t get me wrong, I’m not knocking any of these players or their abilities. Some of them are already off to a great start in their young professional careers, and there are other players who either left college after one year (Carmelo Anthony), or went to the NBA right out of high school (Kobe Bryant, LeBron James, Kevin Garnett), and have enjoyed a tremendous professional career. However, no one can predict how long an athlete’s career will be. All it takes is one ACL tear or one herniated disk, and an athlete’s career is already in jeopardy. Better yet, give a professional scout a chance to find a player who is younger than and just as skilled as the current star player of a professional team, and that star player’s days are already numbered. Therefore, I present this million-dollar question to potential future NBA players who are contemplating the “One and Done” rule, and also to young, current NBA players on the rise: Do you have a backup plan? If the bright lights of your young professional career suddenly go off and you’re no longer able to play basketball, do you have that degree in education or economics that you can turn to? If I’ve learned anything in my young life thus far, it’s that education is something that should never be taken for granted, especially since that degree in education or economics can take you far in life, both mentally and financially—the same way that basketball can. For some athletes, a college degree turns out to be the saving grace that keeps them from falling into financial ruin. I also ask, in light of the recent scandals that have come to light in the world of college basketball, just how much does the success outweigh the risks? 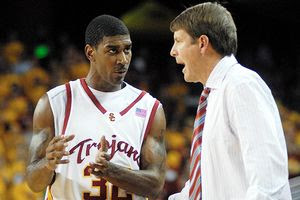 For Tim Floyd, former head coach of the USC Trojans college basketball team, was all the success and fame with star player O.J. Mayo, which included a trip to the NCAA Tournament during the 2007-2008 college basketball season, worth it? 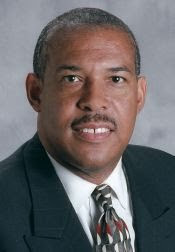 Recently, Floyd resigned as head coach after allegations of having paid up to $1,000 to Mayo’s “handler” two years ago before Mayo started attending USC. Along with that, for University of Memphis and former Tigers’ basketball star (and newly crowned NBA rookie of the year) Derrick Rose, was all of his fame and success truly worth it? If allegations against Rose are true—that he did not take the SATs and instead had someone take them for him—Memphis will be in danger of having their 38 wins and trip to the 2007-2008 Final Four and National Championship game all taken away from them by the NCAA. Should something be done about the “One and Done” rule? If so, what? Are the players and families who follow this rule making the right decision? Would you ever support the rule if your child was, or is, a potential professional basketball player? As an intern just young enough to remember PBS shows like Wishbone and Arthur, and just old enough to have missed the recent surge of educational TV shows for pre-school aged children, I was astounded by MPT’s recent Super Why! Camp. Super Why! is a PBS Raising Readers program designed to give preschoolers the skills they need to read successfully. 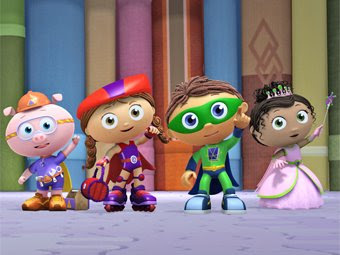 MPT’s Super Why! Camp uses the program and its characters to engage prospective Baltimore City Public School kindergarteners in learning activities designed to reinforce and enrich their reading skills during two separate weeklong camps, one in June and the other in July. The recent June camp was held at the John Eager Howard Elementary School in West Baltimore. I arrived last Monday morning just as the campers began to watch the week’s episode, “Super Why! and the Three Little Pigs.” To my surprise, I was greeted by a classroom of students who were actively engaged in the story on the screen. My generation tends to view television as a passive activity, something to while away the hours between classes or work that doesn’t require too much, if any, thought or participation beyond flipping the channel during commercials. But the campers responded eagerly to the Super Readers’ prompting, singing and reading along with the characters or sounding out letters and words in order to find the Big Bad Wolf. Each day after watching the “Three Pigs” episode, the campers worked on a different skill set linked to the Super Readers: Alpha Pig, Wonder Red, Princess Presto, and Super Why! himself. The campers practiced letter identification, letter sounds, ALL-family word recognition (i.e. words like tall, call, ball, wall), and reading. Although the campers responded readily to the activities designed to help them practice each skill set, I couldn’t help but think that spending extra time on more difficult skills, such as letter sounds or word family recognition, would be extremely beneficial for all of the campers regardless of their skill level. For those campers who were already close to becoming fluent readers, perhaps the extra time would facilitate pattern recognition associated with certain letter combinations and words within words, while the campers who still required prompting might learn how to blend letter sounds together in order to read words aloud. Regardless, Super Why! Camp was unarguably beneficial for each of the campers, whether it reinforced what they already knew or helped them develop a new skill set or two. As for me, I will certainly never view television in quite the same manner again. I’ve heard arguments against television and its influence on children, but having seen first-hand the results that interactive television can produce, I believe that the technology is both applicable and beneficial, both in and out of the classroom. How safe is the Washington, D.C. Metro? Yesterday, Monday, June 22, 2009, at 4:30 p.m. there was a fatal Metrorail train crash on the Red Line track near the Fort Totten station. There are nine dead and 76 injured, making it the worst crash in Metro history. Survivors will be scarred by both physical injuries and emotional trauma from the terrible things they saw during and after the accident. My dad was on the Red Line at 4 p.m. going towards Fort Totten, but 30 minutes before the accident, realized he was going the wrong way, got off the train and switched to a Red Line train going the opposite direction (towards Shady Grove). He is one of the lucky ones who escaped a fatal accident that, according to news sources, could have been prevented if proper safety precautions were taken. Metro General Manager John Catoe that a fatal mass transit accident like this is “very rare.” This kind of collision is supposed to be impossible since are equipped with both manual and computer-operated systems. The National Transportation Safety Board (NTSB) says the reason this crash happened was because the train was an older 1000 series—and not up to date per NTSB safety recommendations. The 1000 series was recommended to be updated by federal regulators three years ago, but since the Metrorail system does not have to take the advice of the NTSB, no action was taken. Metro simply decided it would be too expensive to strengthen their rail cars. 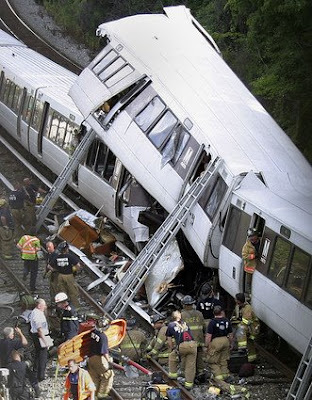 For over 25 years, NTSB has been a harsh critic of Metrorail safety, especially after three previous accidents: one in 1982 that killed three passengers in a tunnel near the Smithsonian Institution; one in 1996 that killed a transit administration operator at the Shady Grove station; and a runaway train in 2004 that injured 20 passengers at the Woodley Park Zoo station. Even after three collisions and countless recommendations from NTSB, Metro refused to take into consideration ways to better improve the safety of their transportation system, which has now left 12 people dead, 96 injured and a countless number of people left to deal with these incidences in the past 27 years. Should Metro start listening to NTSB? Or is Metro right to disregard the agency’s recommendations, which are ultimately costly but could potentially save lives? The Pentagon’s “Don’t Ask, Don’t Tell” policy has been polarizing since it was implemented in 1993 the Clinton Administration. But today the law, which prohibits gay and lesbian service members from revealing their sexual orientation, is increasingly drawing criticism. In 2008, over 100 retired generals and admirals signed a statement calling for an end to the policy, putting to rest a widely held misconception that it was unanimously supported by top military officials. While on the campaign trail in 2008, Barack Obama pledged to repeal the controversial policy. Since taking office, however, the president has made it clear he will approach the issue tactfully by working with military leaders before making a legislative push in Congress. The most recent event in the life of this controversial law occurred on June 8, when the Supreme Court decided against reevaluating the constitutionality of “Don’t Ask, Don’t Tell.” The court rejected an appeal from former Army Capt. James Pietrangelo II, who was dismissed under the rules of the policy and subsequently filed a lawsuit against the government. That’s part of the history of “Don’t Ask, Don’t Tell”—it’s the part that’s sterile and abstract, existing mostly in legal documents and politicians’ mouths. Now, Independent Lens will explore the impact this keep-it-quiet strategy is having on lives of individual service members in the new documentary “Ask Not,” airing on MPT Tuesday, June 16 at 10 p.m. and MPT2 Wednesday, June 17 at 10 p.m.
What do you think the military’s attitude toward gay and lesbian service members should be? 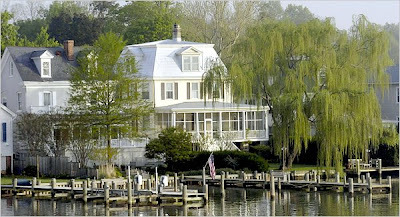 Over the Bay Bridge from Annapolis, up highway 213, nestled on the bank of the Chester River sits a little slice of heaven on the Eastern Shore known as Chestertown, Maryland. At least that’s how the locals describe it. After a half-dozen visits to the picturesque community of about 4,500 people, I’m beginning to see their point. Chestertown also has a rich history of community. It’s a close-knit town of life-long residents and new arrivals coexisting to create peaceful, prosperous lives for themselves and their families. The town famously fought against Walmart—and won—to keep their unique businesses and small-town feel. It’s also home to Washington College and its 1,200+ students from all over the world. It’s a destination town that draws visitors and émigrés in, and makes it difficult for them to want to leave. And it’s also the perfect setting for the first program in MPT's “Our Town” series and our exploration into what makes a community. Did you catch MPT's revealing, one-on-one interview with Sen. Barbara Mikulski last night? Impressions of Barbara Mikulski with Rhea Feikin introduced viewers to the “Senator Barb” that longtime friend Rhea Feikin has come to know and love: the lifetime Baltimorean who still commutes to Washington every day, (“Though I work in Washington, I’m not of the culture of Washington,” she says) and keeps in touch with her childhood friends from Highlandtown. If you're itching for some extra footage that didn't make it in, check out the clips below!